Like weenie dogs? Or dogs in general? 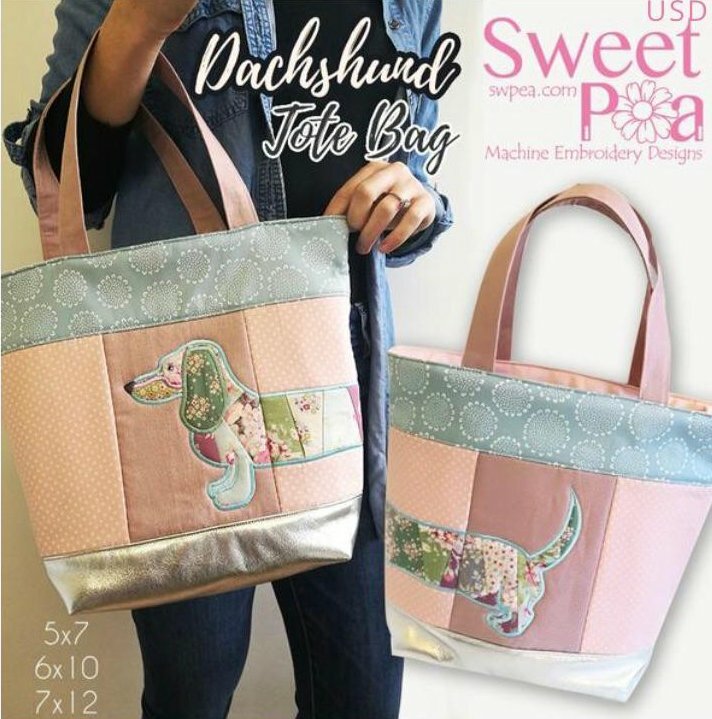 This cute bag wraps an adorable dachshund from the front of the bag to the back. Want a wider bag? Make a wider weenie dog by adding additional middle sections! This design also makes a cute pillow, table runner, quilt, or whatever your puppy heart desires!